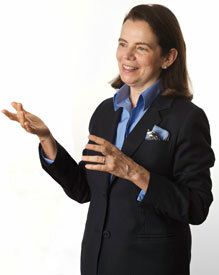 Sally Harpole is a full-time independent arbitrator and mediator for complex international disputes. Starting in 1977, Sally advised and represented companies in most major industry sectors relating to their projects in China. She has extensive experience in foreign investment, trade and dispute resolution matters involving China, including joint venture, merger and acquisition, shareholder and corporation matters, technology transfer and licensing, infrastructure projects, manufacturing, sales and distribution, import/export trade matters, natural resources, energy, pharmaceuticals, chemicals, textiles, real estate, entertainment (including film, television & live entertainment), advertising, sports, hotel management and other areas. As an attorney qualified in California and Hong Kong, Sally led the China practices of multinational law firms in Beijing and Hong Kong for 23 years. In 2001, she established her own solicitor firm in Hong Kong. After 36 years in Greater China (Beijing, Hong Kong and Taipei), Sally relocated to San Francisco where she continues her work as arbitrator and mediator specializing in Asia-related dispute resolution. Sally Harpole has been appointed as arbitrator and/or mediator in over 120 international commercial cases in Asia, Europe and North America. She was one of the first non-Chinese nationals to be appointed to the CIETAC Arbitrators Panel in 1989. Sally Harpole has acted as mediator for international commercial disputes in Beijing and Hong Kong. She also has advised clients on such mediations. Her experience includes the combination of conciliation with arbitration. While resident in Hong Kong, she served on the HKIAC Mediator Accreditation Committee. Sally Harpole is an Adjunct Professor, UC Hastings College of the Law in San Francisco, California. Sally served as a Visiting Professor and Senior Fellow of Straus Institute for Dispute Resolution, Pepperdine University Law School (Asian Study Tour 2003-2010), where she designed a comparative law program introducing the legal systems of Hong Kong and Mainland China. In 2010, Sally was invited to deliver the annual Clayton Utz International Lecture. Her presentation focused on the role of language in Asia based arbitration. Sally often serves as a judge and coach for the Willem Vis International Arbitration Moot law student competition. She has judged the final round of this competition in both the Vienna and Hong Kong venues. The Asian Leading Arbitrators’ Guide to International Arbitration, China Business Disputes and Contemporary Asia Arbitration Journal. In addition, she writes the chapter on Hong Kong and Mainland China in the updated loose-leaf series, “International Commercial Arbitration in the 21st Century” (Lexis-Nexis). From 1992 to 2003, she was General Editor and Special Editor of the CCH China Business Law Guide. She has also served on the Board of Editors of World Arbitration and Mediation Review. Sally is a native speaker of English and is fluent in Chinese and Spanish. She reads French fluently.